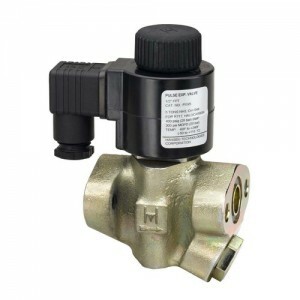 The Hansen PXV and PXVW are pulse modulating liquid refrigerant expansion valves. The PXV uses a specially designed, high-cycle, long life, solenoid operator. A sophisticated 4-20 mA input signal is used to monitor the liquid flow to the system. Unlike traditional TXVs, the pulse design eliminates the need to maintain minimum pressure differential. Low and varying liquid feed pressures (head pressure) are compensated by the basic variable valve operation. It is suitable for use with ammonia and most common refrigerants. The unique PXVW60 body has an integral 100 mesh (150 micron) strainer screen and features direct weld assembly, eliminating flange gasket leak potential. In addition, the PXVW valve has an adjustable, integral hand-expansion plug to regulate the flow from 15 to 60 nominal tons of ammonia. Consult the factory for PXVW halocarbon capacities.